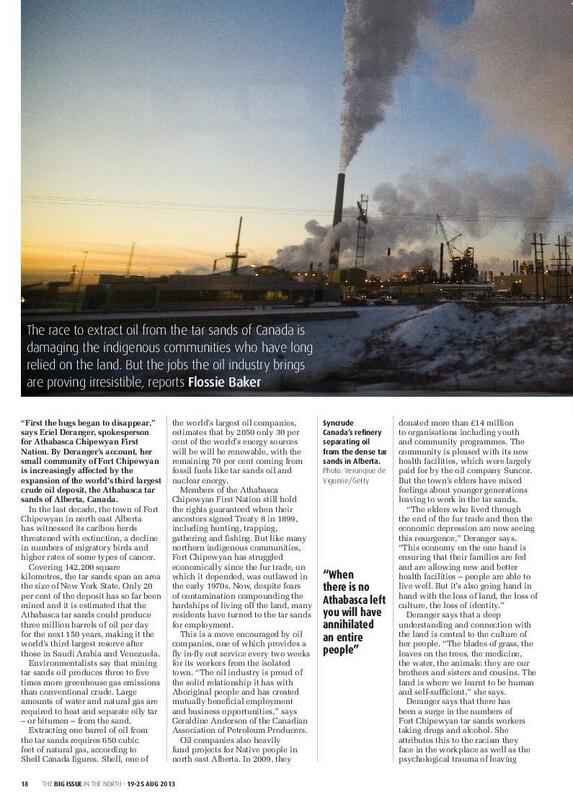 While the expansion of the tar sands of Athabasca, Alberta, Canada has brought jobs and economic stability to the indigenous community of Fort Chipewyan, development has also brought cultural crisis and despair. The community has witnessed its local caribou herds threatened with extinction, a decline in the number of migratory birds, and the increase of certain types of cancer. 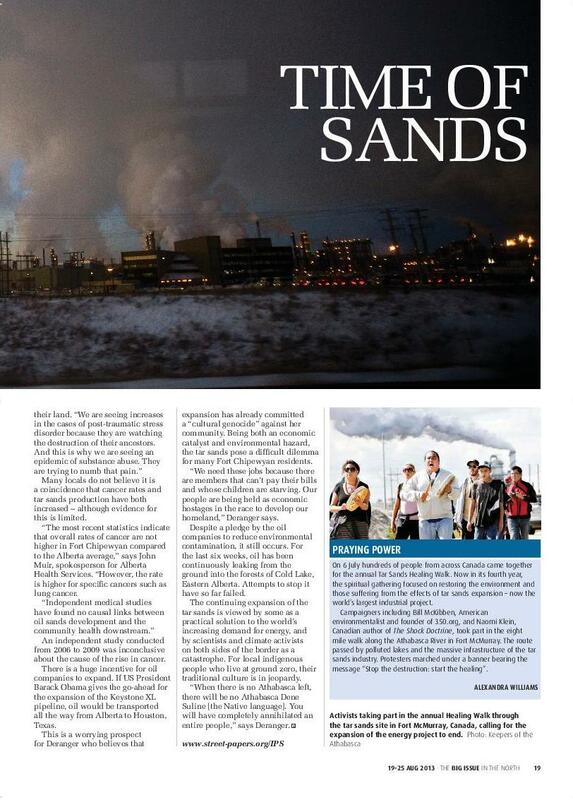 There has also been an increase in drug abuse and alcoholism among residents of the isolated town who work for the oil industry which, critics say, is a reaction to the destruction of the Athabasca land and heritage. This troubling story was republished by The Big Issue in the North (UK). Dieser verstörende Artikel erschien im Big Issue in the North (UK). Die Geschichte steht hier immer noch zum Download bereit.